Badger has a new book out! Excitings. Here is some more information. 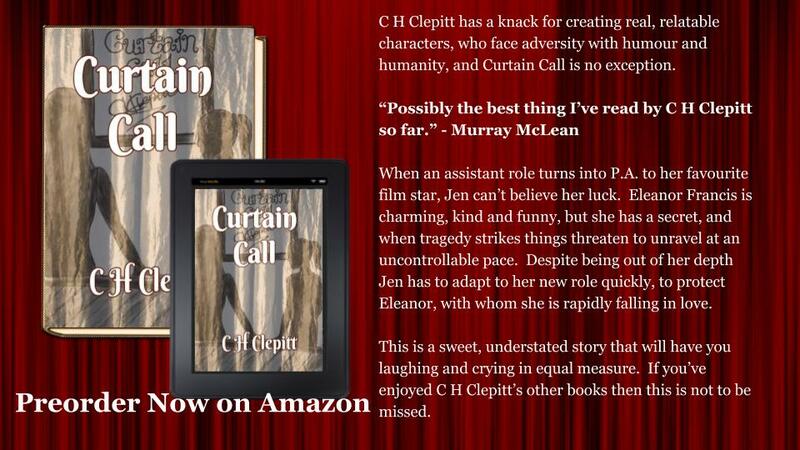 C H Clepitt has a knack for creating real, relatable characters, who face adversity with humour and humanity, and Curtain Call is no exception. When an assistant to the director role turns into P.A. to her favourite film star, Jen can’t believe her luck. Eleanor Francis is charming, kind and funny, but she has a secret, and when tragedy strikes, things threaten to unravel at an uncontrollable pace. Despite being out of her depth Jen has to adapt to her new role quickly, to protect Eleanor, with whom she is rapidly falling in love. This is a sweet, understated story that will have you laughing and crying in equal measure. 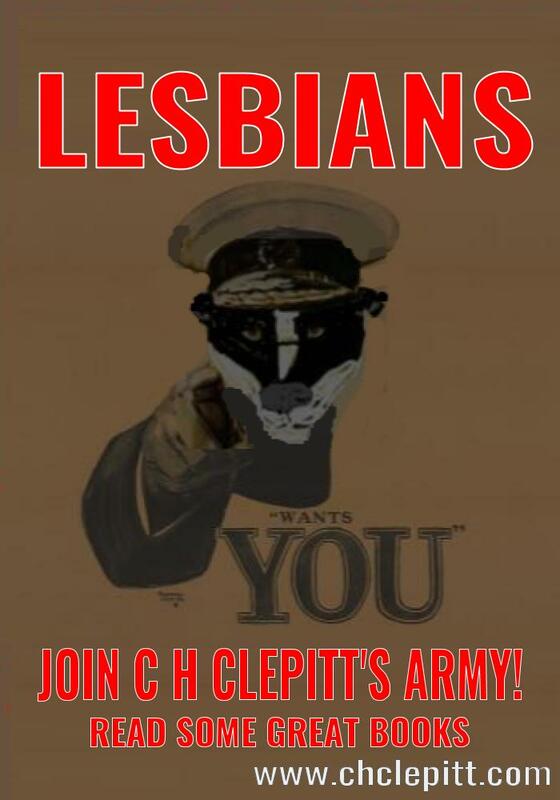 If you’ve enjoyed C H Clepitt’s other books then this is not to be missed. “Love blossoms in an unexpected place in this emotional short story. A change of direction for Clepitt but delicately written and heartfelt.” – Claire Buss – Author of The Rose Thief and other novels. “The story’s optimism that makes it such a joy to read and leaves one feeling there must be hope after all.” A.M. Leibowitz – Author of Keeping the Faith and other novels. This started as a short story, prompted by an anthology call by friend and colleague A.M. Leibowitz. I was at the maximum word limit, and felt the characters still had more to say, so, when it turned out my submission was 4 times longer than all of the other submissions, I withdrew it, expanded it and this novella was born. I am really proud of what I have achieved here, and think it might be some of my best writing to date. I really hope you enjoy reading it as much as I enjoyed writing it.